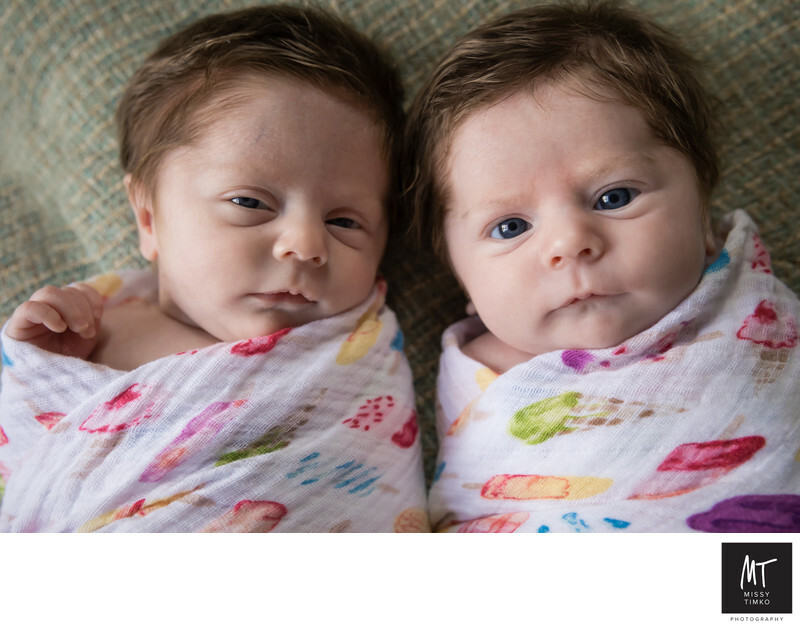 We usually photograph newborn babies within their first few weeks of life, but these twins were a little later due to some time spent in the NICU. We were lucky enough to spend some time in their gorgeous home in Upper St Clair in the South Hills of Pittsburgh, capturing these beautiful twin girls (along with mom, dad and little brother too). Portrait sessions with “older” newborns (2 weeks-2 months) are just as beautiful as with "newer" newborns. There tends to be more eye contact, as can be seen in this portrait, and babies look a little plumper than they do in the first two weeks. I get calls often from parents whose babies are already here and they want to schedule a shoot, or babies who have spent some unexpected time in the NICU, and were unable to have a session earlier. I love these "older" newborn photography sessions just as much, especially when it's adorable twin babies! Location: Upper St Clair, Pittsburgh, PA 15241.